Aussie Natural > Blog > How Does a Spring Work? How Does a Spring Work? While you may be used to seeing 15L spring water bottles around your office or home, you may not have considered how the water reaches you. Many people give little thought to how water gets from the spring to the bottle, or how the spring works at all. Here we will explore this issue to answer any questions you may have asked yourself. As the name implies, your bottle contains water taken from natural springs. A natural spring is a place where water flows out of the ground from an aquifer. In the case of Aussie Natural spring water bottles, the water is sourced from the Darling Ranges. This is a natural process with no impact on the water cycle or the ecosystem. Aquifers are simply places where water is stored somewhere underground. This is usually deep beneath numerous layers of sand, sediment, and rock. As water falls on the surface, it seeps through the ground into the aquifer, with all of the layers of sediment, sand and rock acting as a filter to remove all the impurities to create pure and delicious drinking water. Once the water is collected from the spring, it is transported to the bottling site. Aussie Natural has a state of the art site in Perth. It is here that the water is passed through advanced micro filtration systems. This involves a three stage process with ultraviolet sterilising and electrolytic processes. 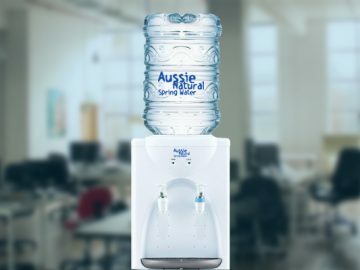 This high tech treatment ensures that the water is ready to be bottled and distributed to offices, supermarkets, lunch bars, homes and workplaces throughout Western Australia. 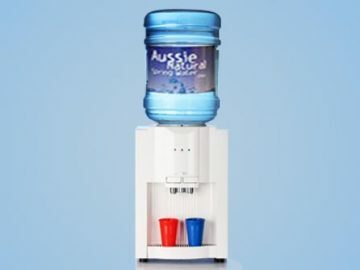 Of course, this does not apply just to 15 litre spring water bottles, as the same care and precision is used for the whole Aussie Natural spring water bottle range from the 350 ml bottles through to the large 15 litre cooler bottles. The primary advantage of spring water is that it is naturally filtered without the need for chemicals. This creates a fresher tasting water, which contains many beneficial minerals that are not present in purified or filtered water. This prevents the water from tasting flat or dull, as you may have experienced with some bottled waters. These springs have been flowing for centuries, providing all natural, great tasting water. In the modern world of chemicals, disinfectants and disinfection by products, this is a welcome change. So next time you reach for a cool glass of spring water, you will know exactly how your water has gone from natural springs to your bottle. 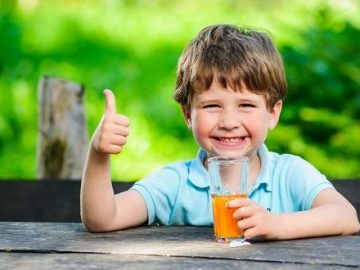 You can also have confidence that your Aussie Natural water is both pure and naturally delicious. 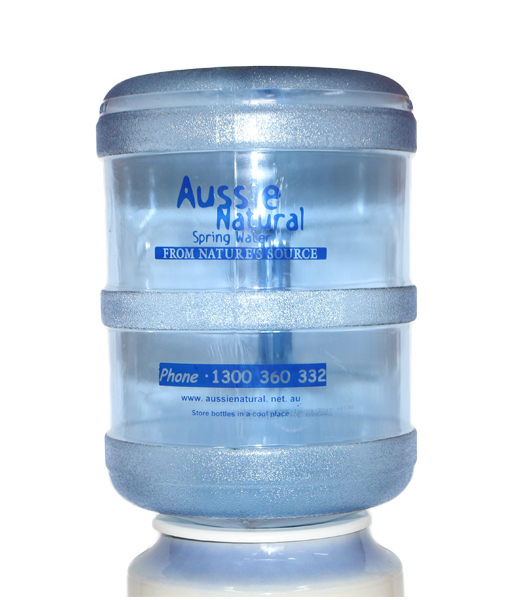 If you would like to try the taste of the delicious Aussie Natural 15l spring water bottles, contact us. The Aussie Natural team are available to discuss our product range, which ranges from 350 ml bottles through to our 15l spring water bottle. We would also be delighted to answer any queries or questions you may have.